RelevantYellow verified business directory. 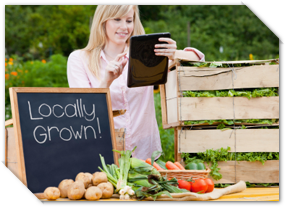 Get a free optimized local business profile page. Just tell us what you're looking for and the location. We'll give you a local list. This privacy statement describes how Relevant Yellow collects and uses the personal information you provide on our Web site: www.relevantyellow.com . It also describes the choices available to you regarding our use of your personal information and how you can access and update this information. Business profile information including business name, address, email address, phone number is displayed to users publically in connection with our service. As part of our website and other services, you may receive email and other communication from Relevant Yellow and other users relating to your business and/or the products and services you offer. Our Site includes links to other Web sites whose privacy practices may differ from those of Local Splash. If you submit personal information to any of those sites, your information is governed by their privacy statements. We encourage you to carefully read the privacy statement of any Web site you visit. Feedback? Contact us any time. We're here to listen and assist you. Whether you have a website or not, we add you to our Search Engine Optimized directory, give you a robust business profile page, and help you get found online. We also offer a full suite of services and the latest Search Engine Optimization (SEO) technologies. Best of all, it's completely FREE. Sign up now. © Copyright 2019 Relevant Ads. All Rights Reserved.